You might be thinking about expanding your business, starting up, or replacing an old piece of equipment. The thing is, with steelworkers once you have one, you just tend to use it, safe in the knowledge that whatever job you need doing, it is there, ready and waiting. But there’s a slight problem with that, while your trusty steelworker has been dutifully performing its tasks all these years, things have changed. Your business may have changed, technology has certainly changed, and if this considerable purchase is your first, well…Where do you even start? 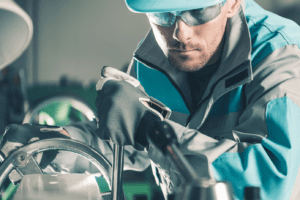 Purchasing a steelworker isn’t like popping out to stock up on tea bags and biscuits, there is a lot to think about for such a major purchase, and a lot to consider to ensure the machine you buy is the right one for you and the service you need to provide. When it comes to tonnage, think carefully. Not just about the work you are doing right now, but also the work you hope to do in the future. Will your business grow? Will your needs change? With a range of steelworkers and punching machines from 45T up to 175T there is certainly a wide range of choice. Will it be used once or twice each week, or non-stop throughout the day? 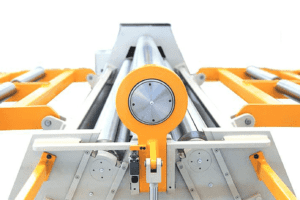 Do you require a punch or a workstation? Again the smart move is to think about your needs today, but take the future into consideration too. 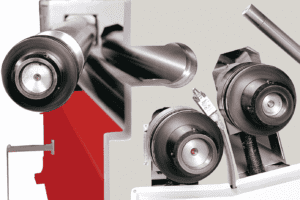 A punching machine might be perfect, but a workstation can offer adaptability should those needs change. Both types of machine are a serious investment, if you are unsure we are always happy to offer help and advice. If you opt for a twin ram machine then this will mean that you can have two operators using the machine at one time. If productivity and time management are high on your agenda, then a multi station might quickly start to pay for itself. 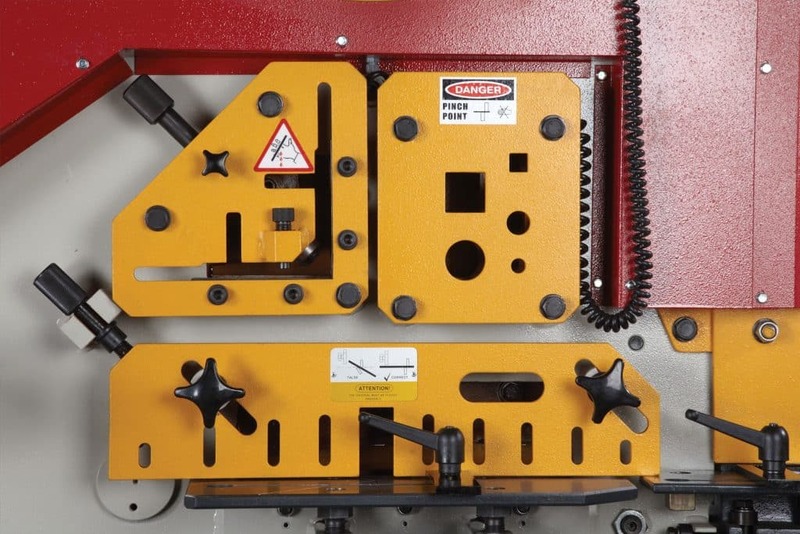 If you do a lot of punching, would a CNC punch be a more beneficial addition to your workshop? With accuracy, greatly increased speed and productivity, and less waste due to human error, they can be pre-programmed through an interface that isn’t hard to learn. Simply Input the X, Y coordinates for hole positions, select the punch tool stations and enjoying the automation. 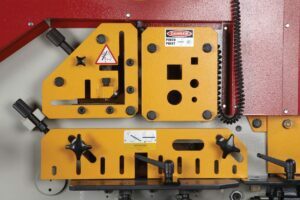 Your shiny, pristine piece of equipment has arrived, but it isn’t much use without the right attachments, such as flat bar bending attachments or sheet bending tools. Do your homework and make sure that you’re using your equipment from day one, with all the right attachments.